Worditis, a tendency to ramble, is the biggest problem with style. 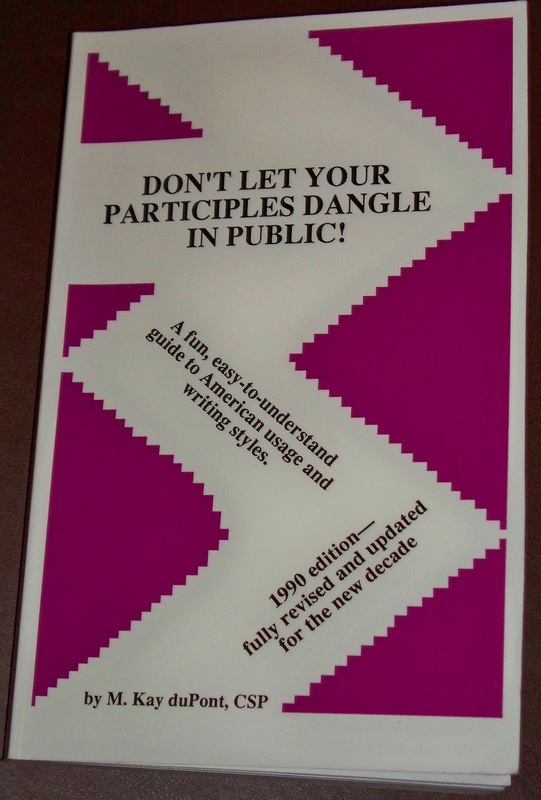 Don’t Let Your Participles Dangle in Public, by M. Kay duPont, corrects the most common worditis problems in Chapter 5. Granted, the chapter is dedicated to professional letter writing, but it applies to all writers. The first chapter suggestion is to be natural and “Write the way you speak.” Simple, right? Not really. Written words tend to become formal rather than natural. Kay duPont illustrated the point well when she revised the small printed, two-page Declaration of Independence to a short, one-page in her book. Can you reread your manuscript and condense as duPont has done? Try it.